As with changes and resolutions at the beginning of a new year, tweaking your existing marketing strategy for 2018 should be worked into your plan as well. Digital marketing is continuously evolving with many components to juggle all at once. That being said, proceeding with the same route online promotional tactics as 2017 (or, in some cases 2007!) just won’t cut it. We’ve seen a major shift in consumer behaviour over the past few years with smartphones becoming the primary source of entertainment and information, video content publications and algorithm shifts on major platforms like Google and Facebook. Whether your SEO needs work or your web design requires an upgrade, our digital marketing strategists have you covered. As we witnessed in 2017, video content took social media channels by storm and an increasing amount of video was consumed on mobile devices. Marketers have become content creators in order to showcase their brand effectively online. Digital has overtaken traditional TV advertising spend, becoming one of the world’s largest ad expenditures accounting for over 37%. (Source: Hootsuite) Keep in mind social video should be a component of your marketing strategy and not compose your entire plan. We’re continuously seeing a shift in how audiences are consuming information thrown at them and thus, we see a variation in consumer behaviour. Because marketers are fighting to gain and retain consumer attention, audio content will become increasingly significant to your marketing strategy. Think podcasts on Spotify or iTunes, or smart devices like Amazon Alexa, Siri, Google Home, etc. Consumers are listening to information at a higher rate while simultaneously performing everyday tasks. As consumers spend more time on social networks, we are seeing new types of behaviours from our target audiences. Major platforms including Facebook, Instagram, Twitter and LinkedIn will continue to push for businesses to utilize paid forms of advertising. Both micro and macro influencers were on the rise in 2017 and doesn’t appear to be stopping in 2018. Utilizing social media creators to showcase your company on their channels is a great way to spread your message to a targeted audience. User experiences via search engines will be more personalized than ever using search optimization tactics. Make use of audience insights to tailor user experience to specific visitors and create ongoing campaigns. The adoption of AI will mean an Increased use of smart speakers and convenience of search to personalize searches to individuals. Consumers are increasingly interacting with brands via their smartphone or tablet to research brands or specific products, meaning it is necessary for brands to be optimized for mobile. Google will analyze your website and use the mobile version of your website as the “real” version. Moreover, 42% of all mobile brand experiences involve search and 89% are more likely to recommend a brand after a positive brand experience via their mobile device. (Source: Think With Google). Focusing on optimization strategies that have worked in the past won’t necessarily be the case in the near future. Consider link building for example – quality and relevance of your links will be far superior than a mass quantity of links spread everywhere. Concentrate your efforts on maximizing your click-through rate rather than solely being the number one spot on Google or other search engines. Quality information shared across your website will assist in your on-page metrics and how much time is spent on your website. After spending countless hours developing a beautiful website and showcasing it to your target audience, wouldn’t it be ideal if most of them converted into paying customers? In order to stay top of mind amongst previous website visitors, remarketing tactics will help spread your ads throughout the web to visitors who didn’t make a purchase and turn them into actual customers. Since there will be a heavy emphasis on personalization in 2018, we’ll likely see Automation and audiences working hand-in-hand as we can use demographic information to see what people are searching for and utilize data to target audiences more specifically. Another form of paid advertising to consider is utilizing the built-in ad platforms on social giants like Facebook. With the shift in ad budgets to include social targeting, it’ll be even more crucial for businesses to allocate a portion of their budget to targeting ads via social channels. For product-based businesses, this will be another huge step to showcase your items next to search results, on Youtube and other Google advertising locations, Not only will it promote your online and local inventory, but it will help boost traffic to your website or physical location allowing you to convert customers easier. 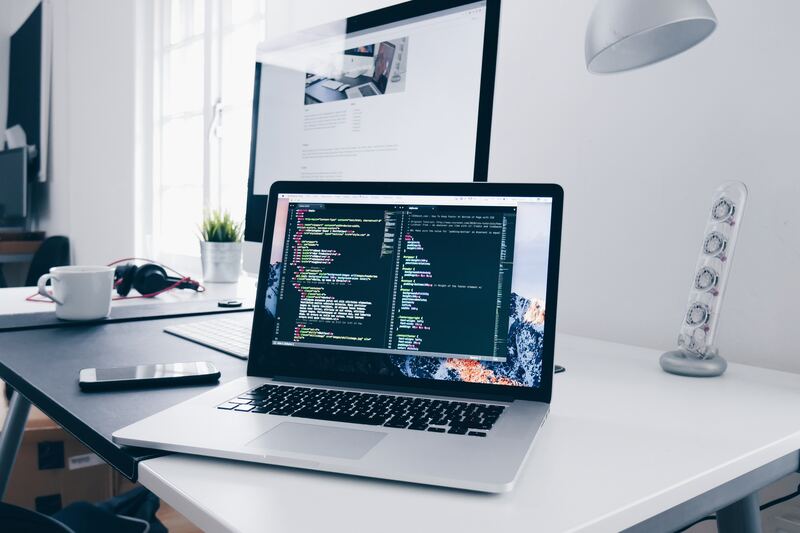 We’ll be blunt about this one – promoting a website that hasn’t been updated to reflect evolving web design trends and new features will hurt your business in the long-run. Not only will the design be lacking more often than not, but there are many components (hint: Flash) that will hinder more than it benefits you. Consumers are looking for a way to interact with your brand and your website is their first point of contact in some cases. Further to our previous point, engaging with your web audience is key. Your website is more than just an “About Us” and “Services” Page. Make use of Chatbots to help automate your customer service journey and bring qualified leads through the door. Have fun with your website – your customers will too! 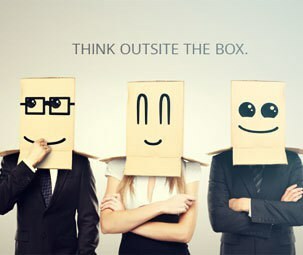 As a full service digital agency, the team at Outsite The Box is prepared to help take your marketing game to the next level. We’ll work with you every step of the way to make bold moves for your brand and help grow your business.